Tilghman bed and breakfast travel guide for romantic, historic and adventure b&b's. Browse through the iLoveInns.com database of Tilghman, Maryland bed and breakfasts and country inns to find detailed listings that include room rates, special deals and area activities. You can click on the 'check rates and availability' button to contact the innkeeper. Be ready to experience the true meaning of paradise as you bring your luggage towards the doors of a Tilghman bed and breakfast. The favorable location of Tilghman Island will bring you unexpected pleasures -- fun, exciting, and relaxed. Tilghman Island is located on Maryland's Eastern Shore. 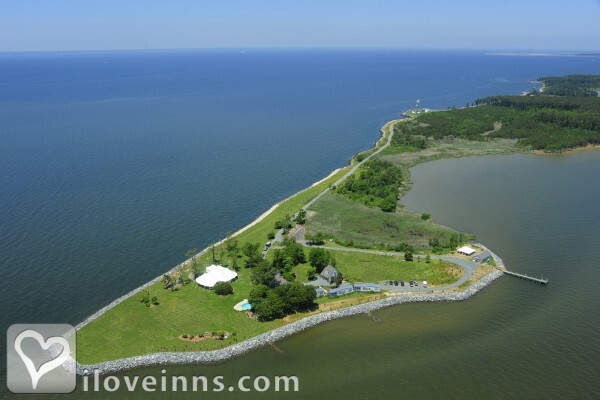 It is surrounded by Chesapeake Bay, which boasts the unspoiled and authentic beauty of nature. Tilghman Island is separated from the mainland because of the Knapps Narrows, but is easily accessible thanks to its iconic drawbridge. One main attraction of Tilghman Island is the endless water activities that you can do. If you like to fish, the island offers an All Aboard Charters, where the captain teaches guests how to light tackle and fly fish on the Chesapeake Bay. Or if you want to know more about the aquatic life in Tilghman, you can try the Chesapeake Bay Skipjack Charters and learn about the Chesapeake ecology and maritime history. By Black Walnut Point Inn. Be ready to experience the true meaning of paradise as you bring your luggage towards the doors of a Tilghman bed and breakfast. The favorable location of Tilghman Island will sooth your tired body. Tilghman Island is located on Maryland's Eastern shore, surrounded by the Chesapeake Bay, which boasts unspoiled scenery. The island is separated from the mainland because of the Knapps Narrows, but is easily accessible thanks to its iconic drawbridge. One main attraction of Tilghman Island is the endless water activities that you can do. If you like to fish, the island offers All Aboard Charters, where the captain teaches the guests how to light tackle and fly fish on the Chesapeake Bay. Or if you want to know more about the aquatic life in Tilghman, you can try the Chesapeake Bay Skipjack Charters and learn about the Chesapeake ecology and maritime history. Be ready to experience the true meaning of paradise as you bring your luggage towards the doors of a Tilghman bed and breakfast. Tilghman will surely bring you unexpected pleasures -- fun, exciting, and relaxed. Tilghman Island is located on the Maryland Eastern shores. It is surrounded by Chesapeake Bay, full of an unspoiled and authentic beauty. Tilghman Island is separated from the mainland because of the Knapps Narrows, but is easily accessible thanks to its iconic drawbridge. One main attraction of Tilghman Island is the endless water activities that you can do. If you like to fish, the island offers All Aboard Charters, where the captain teaches guests how to light tackle and fly fish on the Chesapeake Bay. Or if you want to know more about the aquatic life in Tilghman, you can try Chesapeake Bay Skipjack Charters and learn about ecology and maritime history.